At a college meet over the weekend, Katelyn Ohashi of U.C.L.A. delivered a brilliant technical floor routine, with nary a step on her landings. But a YouTube video of that performance has attracted millions of viewers not because of her skill level but rather the unabashed fun she seems to be having while doing it. 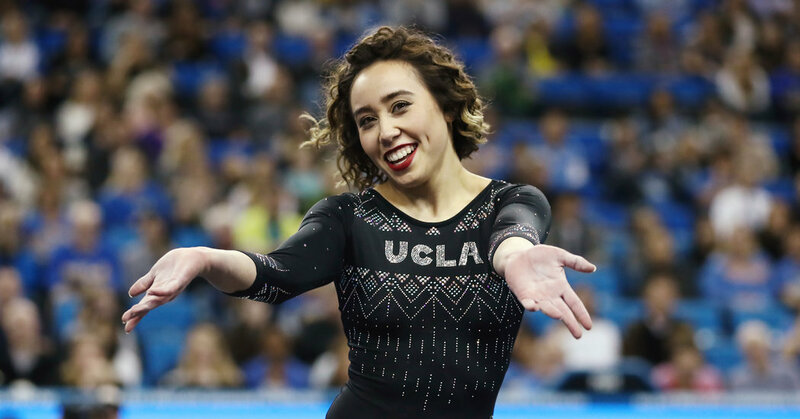 “What you see is how I feel,” Ohashi said of her effervescent floor routine over the weekend, which has garnered millions of views on YouTube.